For the longest time, the national office bearers of Cosatu insisted that they have a firm grip on the federation. 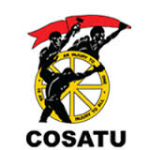 After the expulsion of metalworkers union Numsa and the Cosatu general secretary Zwelinzima Vavi, they argued that these were isolated troublemakers and their exit would lead to the strengthening of the federation. On Monday, the first day of the Cosatu special national congress, this was exposed as a great pretence. Workers are rebelling against the leadership, affiliate unions are divided and Cosatu is effectively dysfunctional. 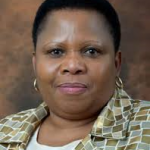 Although the federation’s president S’dumo Dlamini ended the day saying Cosatu was the winner, there are no victors. 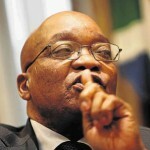 President Jacob Zuma’s remarkable recent threat, that he would consider “relooking” at apartheid uses of force to quell university unrest unless students started to behave, marks his latest allusion to SA’s dark past. 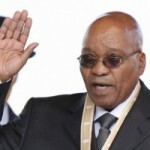 President Jacob Zuma was never anointed by the liberation greats to rise to the top. Neither did he become leader through automatic succession. Zuma fought hard. He climbed his way to the top through a phenomenal fight-back campaign, during which he undertook to correct the mistakes of his predecessors and become a president more in touch with the people of South Africa. How did he go from that vision to a man derided as the country’s worst leader, with multiple scandals and failures haunting his legacy? From Nkandla to Marikana, Al-Bashir to Operation Fiela, it is astounding how Zuma’s presidency hurtled from crisis to crisis. But one thing going for him is that he remains securely in power.